As his 4-year-old adopted daughter lay dying from water intoxication on 9 June 2002, a Springville, Utah, man appeared to blame her condition on her “emotional problems” and “temper tantrums” in his 911 call. Cassandra Killpack died early the next morning. Medical examiners made the cause of death “water intoxication.” That is a condition in which an over-abundance of water causes sodium levels in the body to drop, resulting in fatal swelling of the brain. Killpack, 34, and his wife, Jennete, 26, have been charged with child-abuse homicide and felony child-abuse in connection with her death. Prosecutors allege the couple punished the girl for sneaking sips of a sibling’s Kool-Aid by sitting her on a bar stool, tying her hands behind her back with the help of her 7-year-old sister, and forcing her to drink a lethal amount of water. The couple also was charged with another count of felony child-abuse, a third-degree felony, for allegedly involving their elder daughter in Cassandra’s punishment, explained Sherry Ragan, chief of the criminal division of the Utah County Attorney’s Office, on NBC’s Today show. Killpack said the girl may have hit her head when she “threw herself” off the bar stool, about an hour before the 911 call was made. “She was drinking water, and we told her to get down,” he said. He said the girl was complaining of a headache about 20 minutes before he called. Cassandra was sent to “time out,” but complained she couldn’t keep her legs still, he said. The Killpacks told her to “go potty and go to bed,” he said. The amount of water ingested, prosecutors have said, caused the girl’s levels of sodium and electrolytes to fall and her brain to swell. On CBS’ The Early Show, the couple said the water drinking was punishment for Cassandra’s “sneaking and lying,” as advised by therapists from the Cascade Center for Family Growth in Orem, Utah. Center director Larry Van Bloem denied therapists recommended the water-drinking, saying Tuesday he had never heard of such a treatment. Ragan has said the Killpacks had used such disciplinary tactics before contacting the Center. Police said they did not find evidence to charge anyone at the Center in Cassandra’s death. On NBC, Killpack said Cassandra was told to drink three 8-ounce glasses of water because she took water without asking. After about 12 ounces, she threw a temper tantrum, he said, then obeyed their request to do exercises and take a time out. 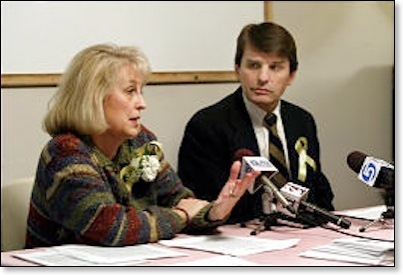 lash out at critics in 2002 press conference. there is a cabal to put them out of business. The Killpacks’ attorney denies that the couple had used the tactic before contacting the Center. He has said the couple did not know Cassandra’s sodium and electrolyte levels were already low because of exercises done at the Center earlier in the day as part of the intensive she was undergoing. Danielson said the couple sought help at Cascade because Cassandra, who reportedly had been physically and sexually abused before her adoption, and the parents did not feel she bonding with them. 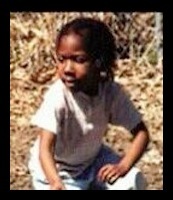 The Killpacks’ two other daughters have been placed in foster care. The couple have not been jailed because they are not considered a flight risk, Ragan said. The couple can get up to 15 years in prison if convicted on child-abuse homicide. Felony child-abuse is punishable by up to 5 years. The prosecution briefly considered changing the charges to murder, which carries a life sentence, but the original charges continue. A trial date on the original charges has not been set, but is not expected before January, 2004. 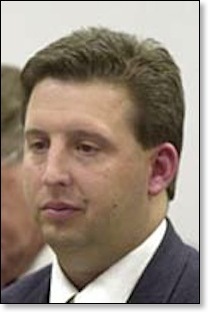 Geoffrey Fattah “Child discipline gone awry,” Deseret News, 30 Dec 2002. 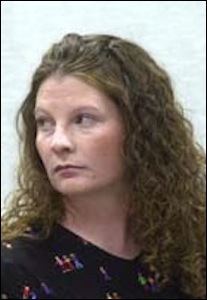 “Killpacks face trial in death of daughter,” Laura Warner, Deseret News, 9 Oct 2003. “Couple Tried in Daughter's Water Therapy Death,” ABC News, 4 Oct 2004. “Testimony of Sister Heard in Child Abuse Homicide Case,” Sam Penrod, KSL.com, 22 Sep 2005. “Split verdict surprises and stuns the Killpacks,” Jess Hyde, Deseret News, 13 Oct 2005. “Holding Therapy Still Alive,” Sara Israelsson, Deseret Morning News, 14 Mar 2006. “Court reviews verdict in girl's water-drinking death,” Stephen Hunt, Salt Lake Tribune, 6 Feb 2008. STATE v. KILLPACK, State of Utah, Plaintiff and Appellee, v. Jennete KILLPACK, Defendant and Appellant, July 22, 2008. “Killpack walks free after six years in prison,” Jim Dalrymple, Daily Herald, 11 Jan 2012. “12 of the most notorious merders with Ties to Utah County, Daily Herald, 4 Apr 2019.